- Anvil Solid Brushed Twill Cap. - Constructed crown with fused buckram backing. - Top button and six sewn eyelets. - Fabric hideaway closure with brass buckle and grommet. 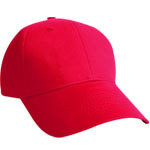 - Pre-curved bill with six rows of stitching. 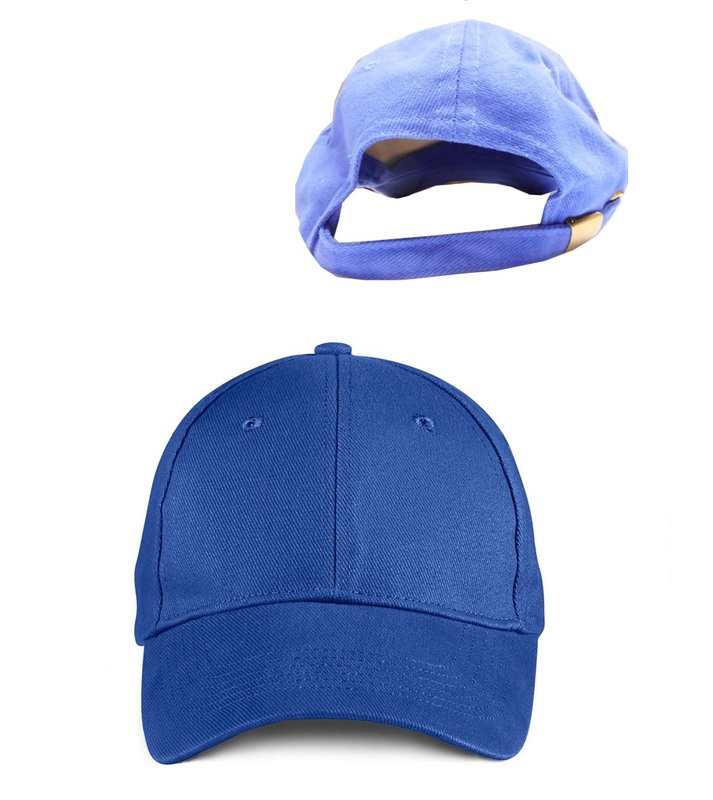 Anvil Solid Brushed Twill Cap. Constructed crown with fused buckram backing. Top button and six sewn eyelets. Matched color sweatband. Fabric hideaway closure with brass buckle and grommet. 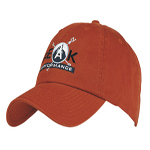 Pre-curved bill with six rows of stitching. 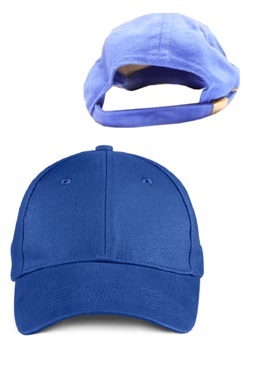 100% cotton twill; six panel cap. Woven label. One size fits all. Colors: White, Black, Khaki, Navy, Red, Royal Blue.